Longer Lasting Lashes with Eyelash Extension Coating Sealant - Lashield Formula. Are your clients sick of applying mascara every day to their beautiful set of semi-permanent eyelash extensions? Try this as an alternative, as top-up brush application to your lash extensions is only required every three days! 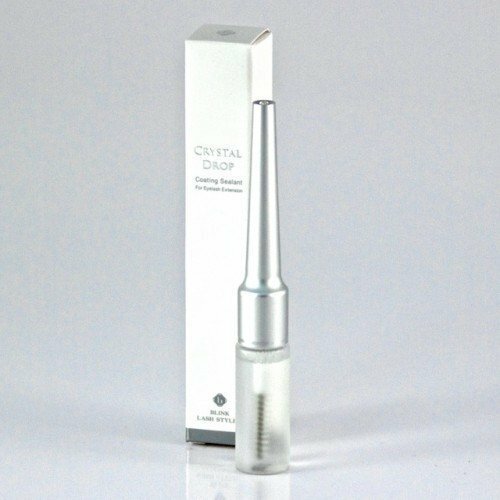 Available in both black and clear varieties, this coating eyelash treatment protects the glue bond of the eyelash extension from moisture and pollutants, whilst adding a shimmering wet look to the eyes. Application is not recommended until at least 24 hours after treatment as it could affect the bond of the adhesive. This product isÂ not suitable for xD Russian Volume lashes. Many of our salon customers buy this eyelash extension sealant to sell on to their clients for home application after a treatment and we are constantly having feedback that clients are loving it! Each tube contains 5ml of coating sealant with a mascara brush applicator.